China Machado, Groundbreaking Model, Muse And Editor, Dies At 86 : The Two-Way In a fashion industry dominated by whiteness, Machado was a Portuguese-Chinese superstar — and a force to be reckoned with. She blazed trails on runways, in photos and on magazine mastheads. Model China Machado, from the film About Face, poses for a portrait during the 2012 Sundance Film Festival in Park City, Utah. 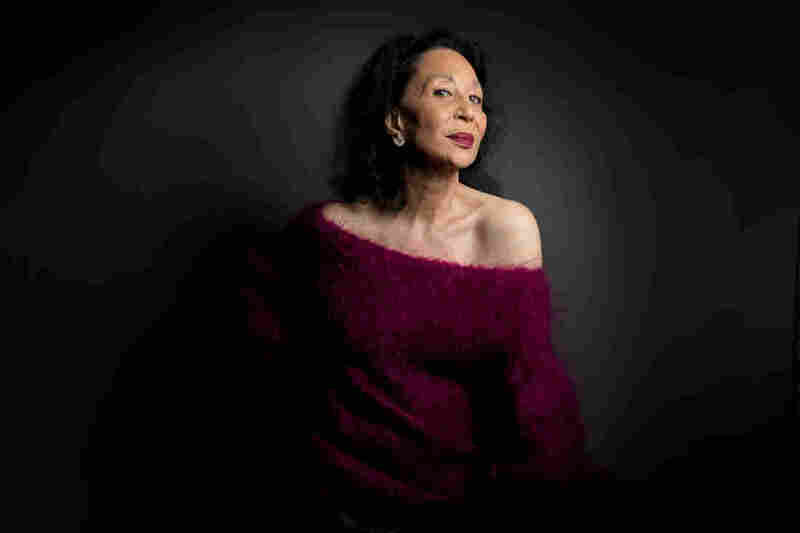 China Machado, a model, muse and editor who was one of the first women to break high fashion's color barrier, has died at 86. A Facebook page associated with Machado's fashion line announced on Sunday that she had died. The New York Times, citing Machado's family, says she died over the weekend of a heart attack. Machado spent decades working closely with legendary photographer Richard Avedon, who called her "probably the most beautiful woman in the world," according to New York Magazine. Avedon's striking photos of Machado appeared in Harper's Bazaar in the late '50s. According to reports, the magazine initially balked at Machado's race, but Avedon vowed to cut ties with Harper's if it didn't run the photos. The images were published — one of the first times, if not the very first time, a woman of color was featured in a major fashion magazine. But those groundbreaking images were just part of a long, storied and influential fashion career. Model China Machado in a dinner dress and jacket by Ben Zuckerman, New York, in November 1958. Her family fled to Argentina after World War II. Machado became a Pan Am air hostess and lived with her brother in Lima, Peru, according to a Telegraph profile. At 19, she met Luis Miguel Dominguín, who was the most famous bullfighter in the world at the time — Ernest Hemingway's The Dangerous Summer is about Dominguín and his brother. By all accounts, he was immediately smitten. Machado ran off with the dashing bullfighter, scandalizing her family and kicking off two extraordinary years of travel and adventure — partying with Errol Flynn and Pablo Picasso. But then Dominguín left Machado — for Ava Gardner, who was still married to Frank Sinatra at the time. "I was with him the night they met — at a party in Madrid," Machado told the Telegraph. "Can you imagine, the most beautiful woman in the world coming in and going after your guy? I had no chance." 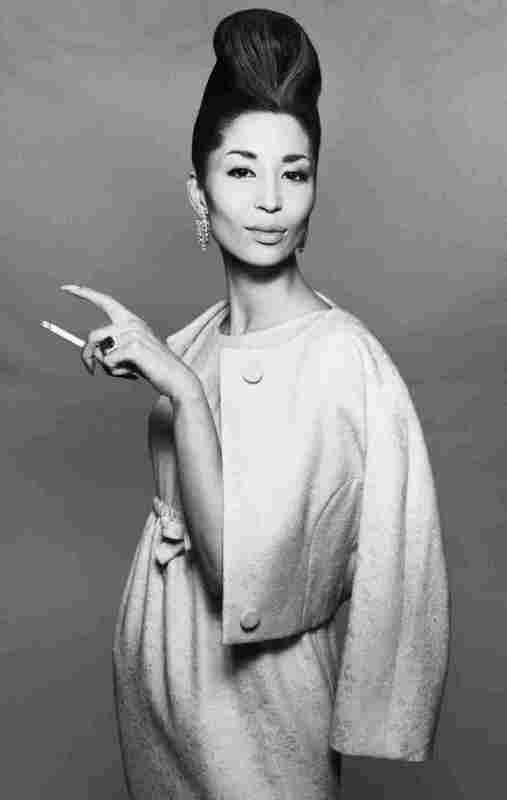 Model China Machado in a dress by Jacques Griffe, Paris, in August 1959. "I never thought I was good-looking in any way, shape or form, because Vivian Leigh and Lana Turner and Ava Gardner and Rita Hayworth I thought were beautiful," she said in a video for Cole Haan's Born in 1928 campaign. "I didn't look like them, so I thought I can't be good-looking, right?" After Dominguín broke her heart, Machado entered the world of high fashion — and became, for future generations, the nonwhite beauty icon she'd never had for herself. Vogue noted that she was one of the first prominent nonwhite models on European runways, opening the doors for generations to follow. "Somewhere along the line Noelie Machado decided that her very Catholic, born–on–Christmas Day name did little to enhance her unusual look and her burgeoning career on the haute circuit. In South America she had heard the Indian girls referred to derogatorily as chinitas. She decided to turn the slur into a moniker that pulsed with exotica. China (pronounced CHEE-na) Machado was born." New York Magazine interviewed her in 2011, and Machado said she was the highest-paid freelance runway model in Europe back in her prime. Her runway success was followed by her magazine fame. In New York, Machado met Avedon; for a few years, she was photographed exclusively by him. Later, she was shot by Andy Warhol, Bruce Weber and Geoffrey Holder, New York Magazine reports. After appearing in the pages of the glossies, Machado switched to the other side — becoming a fashion editor at Harper's Bazaar. "She went on to produce fashion TV shows, design costumes for films, and crisis-manage as fashion director of Lear's, a magazine for women over 35," New York Magazine wrote. She ran a gallery in the Hamptons, married her second husband, made a fortune in real estate. And she continued to model occasionally over the years, signing a contract with IMG at age 81. As of this fall, Machado was still working — promoting her new line of wool and faux-fur jackets and stoles called Cheena. Profiles of Machado in her 80s invariably comment on her vitality, energy and enduring beauty. "I've never dieted, never exercised, I eat like a pig, and I drink — mainly vodka," the supermodel told the Telegraph at age 82. "I still smoke, too." She gave some life advice to Vogue this October. "I think it's crucial to be happy. I always tell everybody I know, 'Listen, if you don't like your job, quit!' I know this is insane, but you're not going to be good at it if you don't like it," she said. "In my life, the most important thing is to stay happy." "Do not in any way underestimate yourself," she said. "Don't take any kind of crap."